When researching Print MIS software, the customer service benefits of Print MIS probably aren’t the first things you think of. You are more likely to be looking for ways to streamline estimating, order management, scheduling, invoicing, and other administrative functions.Still, you shouldn’t overlook the fact that when you improve the efficiency of information flow in your print shop, you will will elevate your customer service too. This is an important benefit because when you think about it. How many orders or invoices will you have to manage if your company gets a reputation of poor customer service? There are at least five key customer service benefits of a good Print MIS program. You can deliver a higher level of customer service. Printing customers today expect excellent customer service that goes beyond simple pleasantries. They often want expert technical guidance or assistance solving logistical problems. These services are hard to deliver if your customer service representatives get bogged down with simple, repetitive tasks that a Print MIS can easily handle. With a well-executed, cloud-based Print MIS program such as Ordant, the customer service rep can always see the status of each job along with details about change orders and customer preferences. 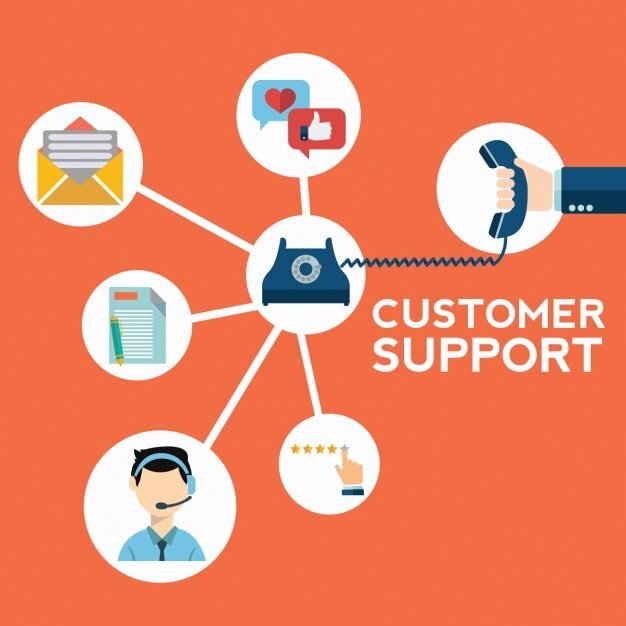 The best customer-service reps would undoubtedly prefer to work in a shop with a modern, well-organized management information system than in a stressful, disorganized office drowning in paperwork. Everyone on your staff can get involved. When your primary customer-service representative is out of the office, other employees can easily handle basic requests for quotes or job-status information. And in fact, all employees in your organization should be trained to have a customer-service mindset. Each employee should be aware of customers preferences and when each job is scheduled to be delivered. Many customers really prefer finding the answers to questions themselves if possible. So when they must call customer service reps, they often are frustrated and impatient. They appreciate talking to customer service reps who have the expertise, confidence, and authority to take control of the situation and fix the problem. With the right Print MIS program, the customer service rep can see how the job was quoted and determine when it’s feasible to offer a discount, reprint, or other solution. You can earn better online reviews and get great customer testimonials. The voice of the customer plays a key role in online marketing. People are favorably impressed when they read real-world reviews by real buyers of print shop’s services. Providing customer service that exceeds the customer’s expectations is a great way to stimulate favorable reviews. Many print-shop reviews online or on social media tend to praise the level of service more than the quality of the printing. Shoddy customer service provokes an emotional response whereas minor technical flaws are less likely to be noticed by novice print buyers. And when you do make a technical mistake, customers will forgive you if your company takes swift and decisive action to rectify the error. So how does this relate to Print MIS? A good Print MIS program helps prevent orders and important details from falling through the cracks. With a system such as Ordant, you can easily see which jobs are at risk of being late and take corrective action. Because Ordant is a cloud-based program, a wealth of information is always at your fingertips. You can respond to requests for information or solutions wherever you happen to be. Setting up and maintaining a Print MIS does require discipline. But the process of streamlining your workflow and teaching your employees how to use the system provides a good time to remind employees that customer service isn’t solely the job of the customer service reps. Everyone on the team has a role a play in delivering service that makes each customer feel as if they really matter.